I believe that a good defect management process should encourage and facilitate discussion between developers and testers. Frustration with the way in which defects are reported and managed may be due to a lack, or absence, of conversation. The way that you manage defects should depend on your development methodology, location of team members, and company culture. Yet it seems that many testers adopt a bug tracking tool as the only way to communicate problems, with little consideration to establishing team relationships. Finding a bug is a perfect excuse for a tester to speak to a developer; utilise this opportunity! Here are four different ideas for defect management that pair the tools we use with developer interaction based on my own experiences. I worked onsite with a client in South America, installing hardware and software then co-ordinating testing across the wider solution. The developers supporting this install were based in New Zealand, which meant that they were largely unavailable during South American business hours. Though our software had a user interface, much of the function was performed by backend components. The information required to identify and fix problems was recorded in multiple log files stored in different locations. During the day, I would identify problems, reproduce them, capture a clean set of log files, and then raise an appropriate defect in our bug tracking tool. The tool required a number of attributes to be set for each bug; priority, severity, component, etc. They also had a title, short description, and a set of attached logs that the developer could reference. In this environment, I felt that the tool was essential to manage a high volume of problems with associated logs. However communicating via the tool alone was ineffective. When the New Zealand based developer arrived at work, he would have an inbox full of notifications from the bug tracking system reflecting the problems resolved, remaining and discovered during our day. The volume of these messages meant that he occasionally missed information that was important, or prioritised his time incorrectly. I initiated a daily skype session for defect triage to explain which bug tracking notifications he should focus on, and why. This happened at the end of my day and the beginning of his. During this time he would try to ask enough questions to understand the complexities of the problem, so that he could provide a timely fix. These conversations helped us to create a rapid and effective defect turnaround. I worked in a team developing a web application using a kanban development methodology. We focused on flow through the process, which meant that stories were rarely owned by individuals. Instead tasks across multiple pieces of functionality were shared among all the developers. 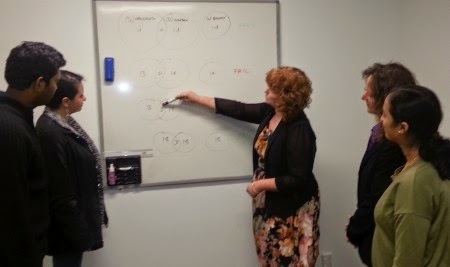 The team used a visual management board that occupied a large whiteboard alongside our workspace. This board was frequently referred to and updated throughout the day, not just at our morning stand up meeting. Upon completing a task, both developers and testers would determine their next activity by visiting the board. We used the same board for defect management. If issues were discovered during testing, I would write each one on a post-it note and attach it to the board. In this team, issues generally manifested in the user interface and were relatively simple to reproduce. A post-it note usually captured enough information for the problem to be understood by others. New defects would be picked up as a priority when a developer visited the board in search of a new task. They would place their avatar on the defect, and then speak to me about anything that they didn’t understand, or wanted to question the validity of. As problems were resolved, the developer would commit their change to the repository and we would swap my avatar onto the task. Bugs would then move to “done” in the same manner as other tasks on the board. I worked in a team developing a web application using the scrum framework for agile development. 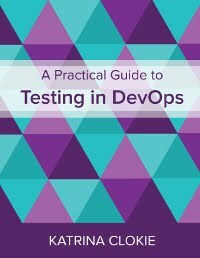 In this team stories were adopted by one or two developers, who would work on tasks and take ownership of fixing any associated defects discovered during testing. We had an electronic visual management board that was used regularly and updated often. There was also a physical visual management board, but this would only match the electronic version immediately after our daily stand up had occurred. The piece of software that provided the electronic board also offered defect tracking functionality. In this organisation I was reluctant to use a defect tracking application, as I felt the team were at a real risk of communicating solely through tools despite being co-located. Instead I decided to record my bugs on post-it notes. Unlike the previous scenario, in this situation there was little point in sticking these post-it notes on the physical visual management board. It wasn't being used often enough. Instead I would take them directly to the developer who was working on the story. My post-it note delivery style varied depending on the developer. One developer was quite happy for me to arrive at his desk, read out what was written on each post-it, then talk about the problems. Another preferred that I show her each defect in her local version of the application so that she was sure she understood what to change. The developers would work from a set of post-it note defects lined up along their desk. As they resolved problems they would return the associated post-it to me. Having to transfer the physical object increased the opportunity for conversation and helped create relationships. There was also a healthy level of competition in trying not to have the most post-it notes stuck to your desk! I worked in a team developing a web application using an agile methodology. This team was co-located in one area of the office, as we all worked part time on other projects. A portable visual management board was created and maintained by the business analyst using a large piece of cardboard. It was kept under his desk and only used during our daily stand up meeting to discuss our progress. From a defect management perspective, this organisation prided itself on its trendy culture. Though a bug tracking tool existed it was largely used by call centre staff to record customer issues in production. In this team I decided to communicate information about my testing using a cloud based visual model. Each person in the team had a MindMeister account. I used this software to create a mind map showing my test ideas, reflect progress through testing, and to record defects, which were highlighted in red and had an attached note that explained the problem. When I completed a testing task, I would send the developers a link via instant messaging to the cloud-based visual model. They could see where the problems were, and would respond with questions if anything was unclear. They seemed to like being able to see defects within a wider context, and were quite positive about a nifty new tool! After speaking at a Girl Geek Dinner in mid October, I became really aware that my Twitter stream contained tweets that were mostly from men. Over the past month I have experimented with who I am following to try and correct this imbalance. DISCLAIMER: I've grouped based on the reasons that I follow these women. Though there are many individuals who could appear in multiple categories, I wanted to share the primary reasons why I value their contributions on Twitter. This is one specific facet of their professional persona and, should you choose to follow them, you may see things quite differently. Elisabeth Hendrickson and Lisa Crispin are among the most widely known and well regarded software testers in the world. With followers in the thousands, they are likely to be a part of your Twitter stream already. Though Elisabeth and Lisa often tweet about their lives outside of testing, they also share articles and tweets from their extensive professional networks that I would miss otherwise. As an organiser of WeTest and editor of Testing Trapeze, I like to tweet content from testers around New Zealand to promote the wonderful things that are happening in this part of the world. These are the women who adopt similar behaviour for the communities that they lead. Alessandra Moreira is the only woman on the Association for Software Testing (AST) Board of Directors and a co-organiser for Weekend Testing Australia and New Zealand (WTANZ). Amy Phillips is the co-organiser for Weekend Testing Europe (WTE). Anne-Marie Charrett was a co-organiser of Let's Test Oz, Anna Royzman was a co-organiser of the Conference of the Association for Software Testing (CAST) in 2014, Helena Jeret-Mäe is the content owner of the upcoming Nordic Testing Days in 2015, and Rosie Sherry organises TestBash annually as well as running the Ministry of Testing. In initiatives that specifically focus on women, Jyothi Rangaiah is the editor of the Women in Testing magazine, and Lorinda Brandon runs the Women in Line initiative to get more women speaking at technology conferences. There are those who generally seek to challenge opinion and question what they've heard. These women appear unafraid; they share and generate content to disrupt the status quo. Through these women I am exposed to new ideas and test my own assumptions. Fiona Charles, Karen N Johnson, Trish Khoo, Lanette Creamer, Hilary Weaver, Kate Falanga and Natalie Bennett are all based in North America, Maaret Pyhäjärvi and Meike Mertsch are in Europe, and Kim Engel in New Zealand. I was hesitant to use this term, as some may hold quite a negative connotation of a cheerleader, but I mean it in the sense of the definition above. These women are enthusiastic and vocal members of the testing community. They encourage, converse, and share information, usually in a friendly and upbeat way. Parimala Hariprasad and Smita Mishra are in India, Anna Baik in the UK, Maria Kedemo in Europe, and Jean Ann Harrison and Teri Charles are in the US. They create a steady flow of positivity with links to a wide variety of content. "occurring continuously over a period of time." Claire Moss gets her own category as a live tweeter. Usually Claire is relatively quiet on Twitter. The exception is when she is attending testing events and her account erupts into a stream of constant activity. You'll almost feel like you've attended the conference itself. "to move to a higher position." Finally there are the women who share and contribute excellent content on Twitter, but may be less well known than others listed here. Carol Brands, Jacky Fain, Alex Schladebeck, Elisabeth Hocke, Ioana Serban and Shirley Tricker. As with any post of this kind, I'm certain I've missed people who should be included. Please leave your recommendations in a comment below. There are some circumstances in which a mind map is not the best format to visualise your testing. In particular, where there are complex relationships between data in the application under test. Visual test ideas can be useful when it feels clumsy to explain what you plan to test in words. If you need the assistance of a whiteboard to outline your thinking to others, this might indicate that you should record your test ideas pictorially instead of in writing. As with other visual approaches, visual test ideas are a great way to engage people in the activities of testing and encourage collaboration that improves test coverage. Here are three examples of different ways to record your test ideas visually. Transactions are only returned for the first 90 days of the specified range. 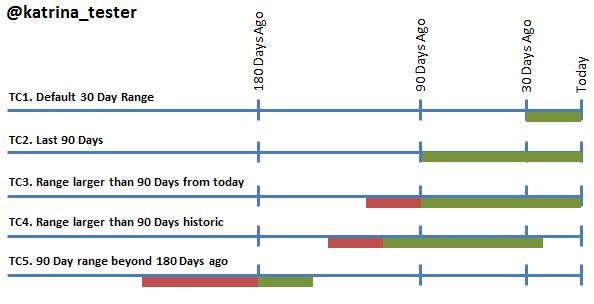 If the specified date range is greater than 90 days then the oldest transactions are discarded. Data is only available up to 180 days ago, no transaction information will return prior to that date. And of course, there are no transactions available in the future. Using a timeline to explain these test ideas clearly shows how they relate to one another within the time relationship, where a mind map format would not. Imagine that you have taken out a loan where your repayment obligations are tied to your income. 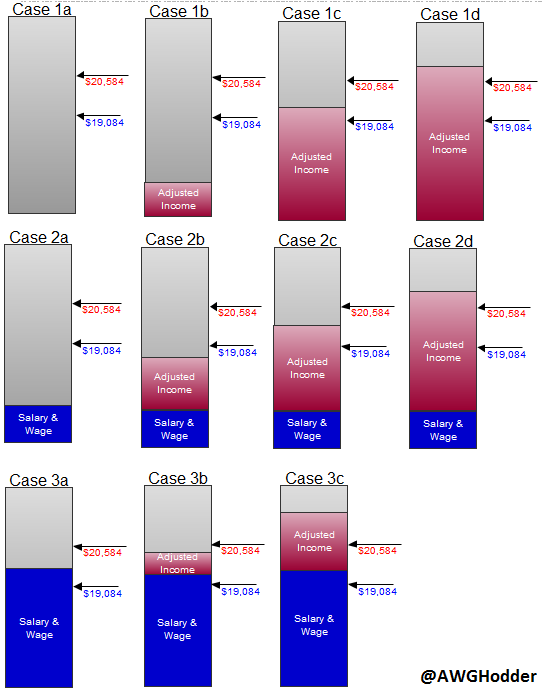 When your earn beyond specific thresholds, then your repayment amount will change. These thresholds are dependent on the type of earning you receive, whether salary, wages or adjusted income. Imagine a school grading system. Within a given subject, you can receive credits across one or many topics. For example, in Mathematics you can gain credits that apply to Calculus, Algebra, or Calculus & Algebra combined. The number of credits you have in each topic, and in total, will determine whether you are awarded a given qualification for a subject. Using Venn diagrams to capture these test ideas clearly shows the relationships between topics within subjects that a mind map format would not. There are many options for representing test ideas and the relationships between them by making use of engaging illustrations. Think laterally. Though a mind map is an obvious option to present visual information, it isn't always the best way for a tester to share their thoughts with their team.